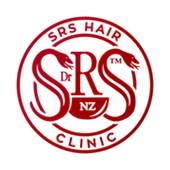 Before coming to SRS Hair Clinic, many of our clients have visited various other hair loss clinics with limited success. We want everyone to walk away from us feeling 100% confident and self-assured, and that’s why we’ve made you a promise – the SRS promise. Dr. Sidhu is an accredited practitioner of Ayurvedic medicine with more than 25 years of experience in tailoring complementary therapies for the unique health needs of individuals.